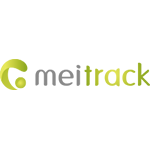 Meitrack is an international GPS-tracking systems and equipment supplier and manufacturer. The Company was founded in 2002 in China. Nowadays company representative offices are organized in California, Kuala Lumpur, Hong Kong and Taiwan with clients operating in more than 170 countries globally. Meitrack specializes in the manufacture of equipment for fleet tracking, stationary assets condition control and personal tracking.